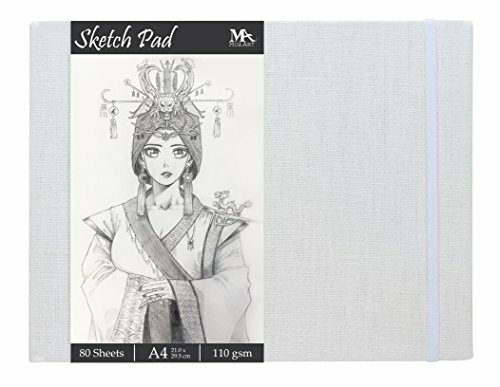 The MozArt Sketch Pad - An essential tool for every artist With 80 high quality A4 sheets and a linen bound hardback our Sketch Pad is ideal for everyday use. Whether at home or on the go, this Sketch Pad is the perfect place to store your latest illustrations, quick sketches and next big ideas. Perfect to pair with - MozArt Mechanical Pencils Why not pair your Sketch Pad with our range of 4 different sized mechanical pencils? From 0.3, 0.5, 0.7 and 0.9 mm tips along with refills and erasers, you'll have everything you need to get started on your next project. If you have any questions about this product by MozArt Supplies, contact us by completing and submitting the form below. If you are looking for a specif part number, please include it with your message.